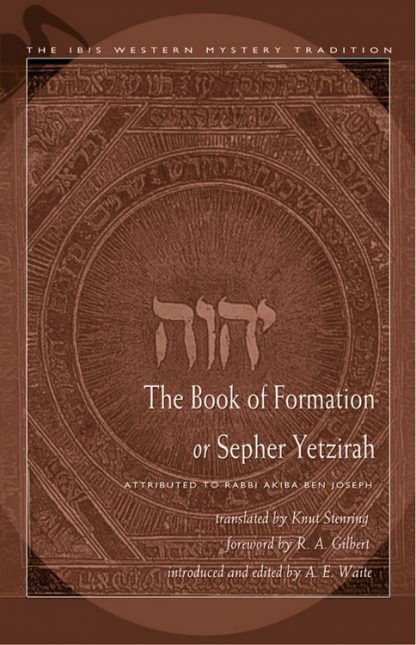 The Sepher Yetzirah, or Book of Formation, although very short, is probably the most important of the Kabalistic texts. Its secrets were passed on in the Hebrew oral tradition until it was written down in the 2nd century b.c.e. It lays out the principles of Kabalistic cosmology and the Tree of Life, how humankind (the microcosm) reflects the Divine (the macrocosm). It also sets forth the Hebrew doctrine of Logos--the creation of the world in numbers, letters, and sound. As such, it is a seminal text for all serious magicians. Stenring has made a word-for-word translation from several texts, choosing only those parts which he believed to be authentic. He reveals the text's secrets in his diagrams, tables, and extensive notes. His "�Master Key to the Theoretical and Practical Kabala"� is a diagram of the correspondences between the English and Hebrew alphabets and is not found in other translations of the Sepher Yetzirah. Also unique in this translation is Stenring's assignment of certain tarot cards to the paths on the Tree of Life. Several authors have done this before, but Stenring asserts that he arrived at his correspondences on his own. The introduction by Waite surveys the historical background of the Sepher Yetzirah translations and the import of this foundational Kabbalistic text.